It's peak Alberta summer right now; everything is green, the days are long and the sun is finally shining. Which feels like the worst time to utter those three dreaded words: back-to-school. But it really is true; the early bird gets the worm. This is an especially apt metaphor for all of the extracurricular activities that start up when September rolls around. It's peak Alberta summer right now; everything is green, the days are long and the sun is finally shining. Which feels like the worst time to utter those three dreaded words: back-to-school. But it really is true; the early bird gets the worm. This is an especially apt metaphor for all of the extracurricular activities that start up when September rolls around. After-school and weekend programs like hockey and swim practices, or dance and music classes, can make the school year an even more expensive and busy time for families. According to a recent survey issued by TD, four in ten (40 per cent) Albertan parents with kids under 18 spend $1,000 or more per child on extracurricular activities during the school year, with another 42 per cent spending up to $999. 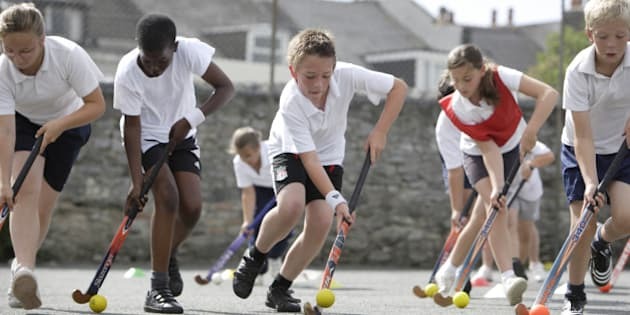 Half (51 per cent) of parents say they have to limit the number of, or not sign their kids up for, extracurricular activities due to cost. Here are a few financial planning tips for the remaining summer weeks to help you set up your loved ones for an eventful and affordable school year. •	Avoid costly surprises: before signing up your child for an extracurricular activity, think beyond the cost of the class itself. Sometimes it's the incidental fees related to that class or league -- such as the purchase of equipment or an instrument, or accommodations for weekend tournaments -- that breaks the bank. Be sure to thoroughly research the class and ask instructors or coaches about all of the materials needed and any extra costs before signing up. •	Before the school year starts, create a budget and stick to it: create a budget for all the annual expenses you can think of related to that extracurricular activity, then add another five to 10 per cent extra to cover potential surprises like the end-of-season framed team photo or a championship sweatshirt. Online budgeting tools can help you determine how much you'll be spending monthly and ensure you stay on track. Saving a little each month and putting it into your savings account or TFSA can also help offset extracurricular expenses. •	Shop around for discounts: you can find bargains on used equipment and gear (and instruments, too) at yard sales or consignment stores, through friends and neighbours, or even online. Considering that kids will most likely outgrow equipment and gear quickly, there are plenty of gently used items available. Look for opportunities to also save on the activity, through group buying options or online deals. •	Don't invest too much off the bat: if your child is young or starting an extracurricular activity for the first time, consider signing them up for classes offered through the city's park and recreation department, as they can be less costly than going the private route. As younger children are still discovering what interests them most, you may not want to invest too much in one activity at this young age. •	File your receipts: keep a record of all your child's extracurricular activity costs and payments as some fitness and art classes could be tax deductible on your tax return. They're also a good reminder of what items you paid for this year when it comes time to plan for the next time around. Financial planning during the summer can be trying, but the payment for your invested time -- happy, enriched and active kids -- is so worth it.